ich habe meinem Redpitaya den Vorverstärker von DC2PD gegönnt. Diesen habe ich zunächst ohne die I2C-Verbindung zum Redpitaya in Betrieb genommen und kann mit Powersdr sehen, dass der Vorverstärker funktioniert. Nun wollte ich auch den Abschwächer ausprobieren aber ich bekomme es nicht hin. Ich habe in Powersdr bei "Hardware Config" einen Haken bei Alex gemacht und bei "Options" den "Hermes Step Attenuator" enabled. Wenn ich nun auf der Oberfläche Werte mit dem S-ATT einstelle, würde ich erwarten, dass ich mit meinem Oszilloskop Clock und Daten auf dem I2C-Bus sehen kann. Da liegt aber ein konstanter 3V-Pegel an, keinerlei Bewegung. Im Redpitaya benutze ich das aktuellste Image von Pavel und habe den "SDR transceiver compatible with HPSDR" gestartet. Hat jemand Tipps für mich ? As far as I can judge, you probably have a hardware problem, not a software one. thank you very much for your response. I checked your list but I have no success. Here the hardware config. The IP is correct, the Redpitaya on the first adress is powered off. Marc, I checked if there is a short between Vcc and SCA and/or SCL ... it is not. 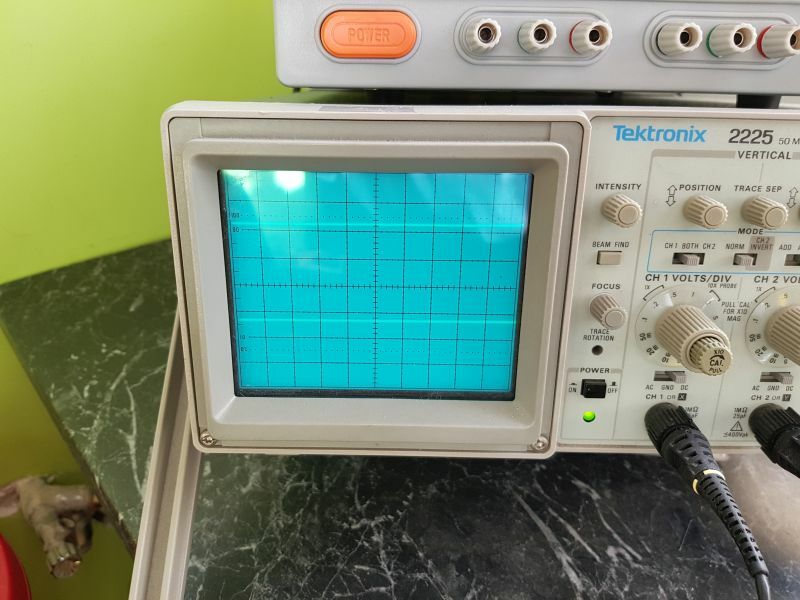 In fact, capturing the I2C signal with a tektro 2225 is possible, but you'll have to be lucky to spot it: you must set the trigger on clk (panel on the right side of the scope) and the "burst" is rather short and will pass the screen in a blink. I have the very same scope at home . As it is not a permament signal, your picture of the tektro screen is not really meaningful. the permanent 3V "high" is absolutely normal, as I2C is an open collector output. And most of the time, pull-up resistors maintain the line in a "high" state. Do you have a logic analyzer (or a friend who does ) ? I checked it with PowerSDR OpenHPSDR PS v3.3.9 (6/15/16) Mod.:12721/16. Very less experience with this software, normally I use piHPSDR . You mentioned "When I increase the S-ATT, ....... Surprisingly the noise is moving up." I have the same behaviour here. So I think the I2C is ok. Possibly I was misunderstood at this point: The noisefloor is moving up and down with the current attenuator-value. Surprisingly is ... this happens without something connected to the rx input! 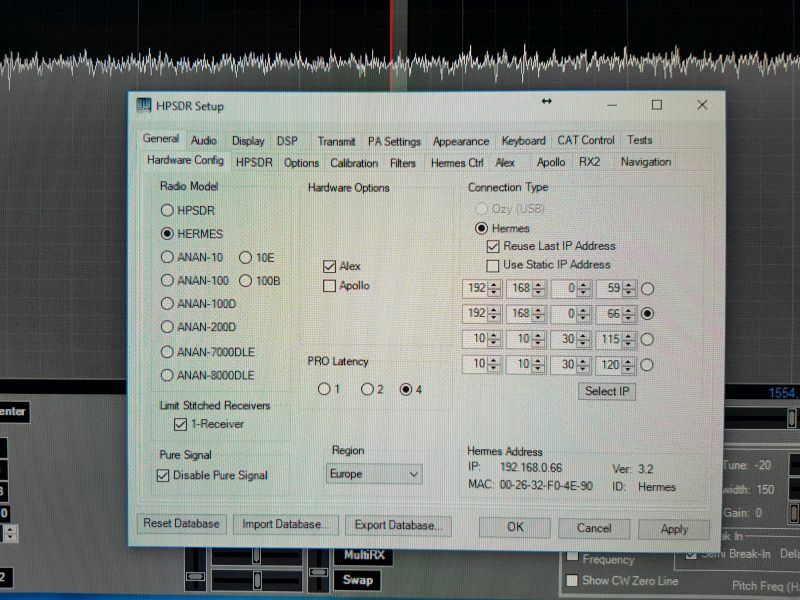 There is no noise adding preamp connected ... Powersdr is doing this automatically for some reason. I can`t imagine why ? Uli, please, can you repoduce this ? Today I have no idea what`s going wrong here. 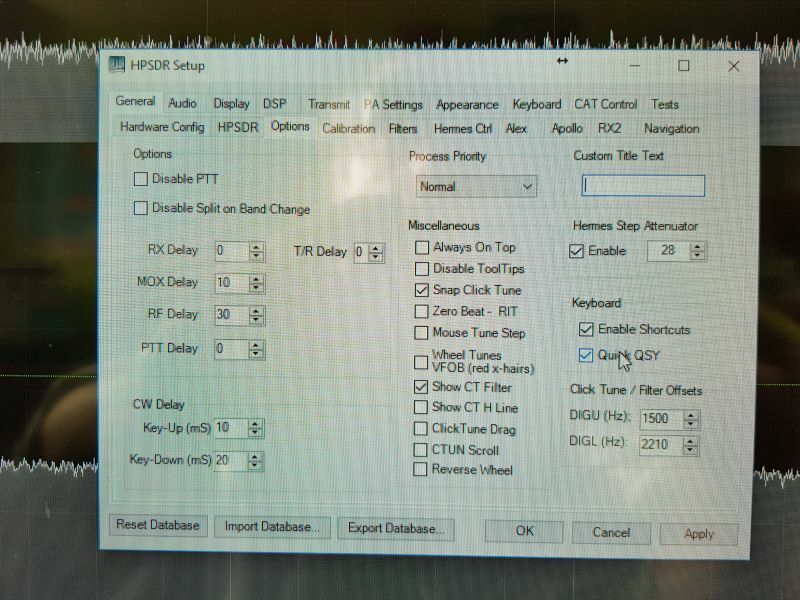 Marc, the hint with the cheap logic analyzer sounds very interessant. Just to have another option. But I can`t imagine that an I2C signal with 40us clock time can be overlooked with an oszilloscope. If your mouse is on the ATT-field you can force more then one value by using the mouse-wheel (I estimate). How can I isolate the problem ? Is it my Redpitaya or is it PowerSDR(-Configuraiotn) ? Can I test the I2C-Output with another Software ? On one of your pictures, the I2C cable is connected to the scope but not to the preamp board. In this configuration, you won't see any I2C signals when changing the tuning frequencies. You'll only see some I2C signals when the SDR transceiver application starts on Red Pitaya. 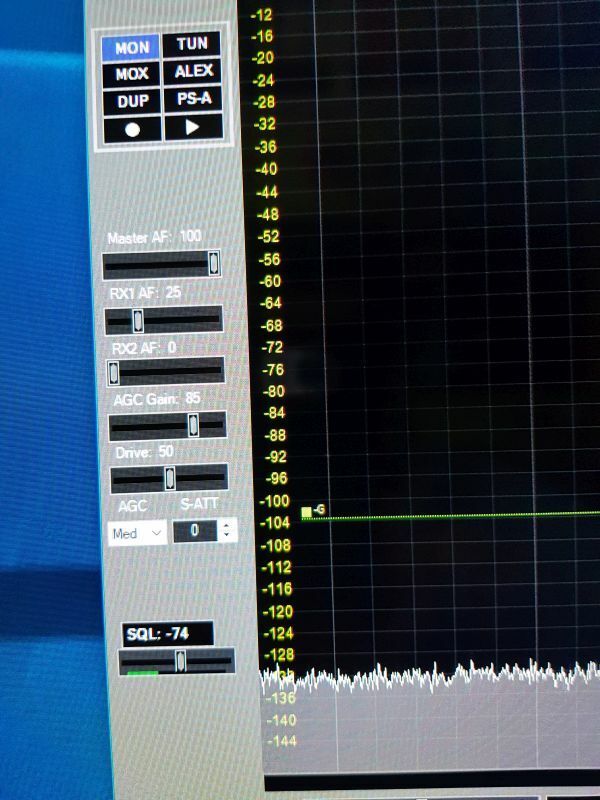 The SDR transceiver application tries to detect the preamp board when it starts. It sends the I2C signals only if the preamp board is detected when the application starts. So, to see the I2C signals, the preamp board has to be connected to Red Pitaya at the moment when the SDR transceiver application starts on Red Pitaya. Zuletzt geändert von pavel am Mo Jan 29, 2018 10:06 pm, insgesamt 1-mal geändert. thank you very much, you fixed my problem! 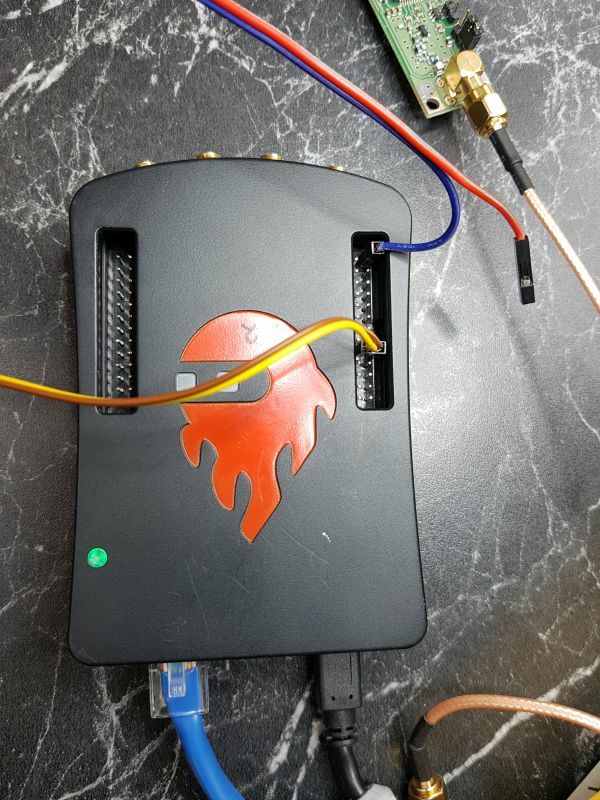 I started your software on the Redpitaya and then I connected the preamp and was disappointed that is does not work. 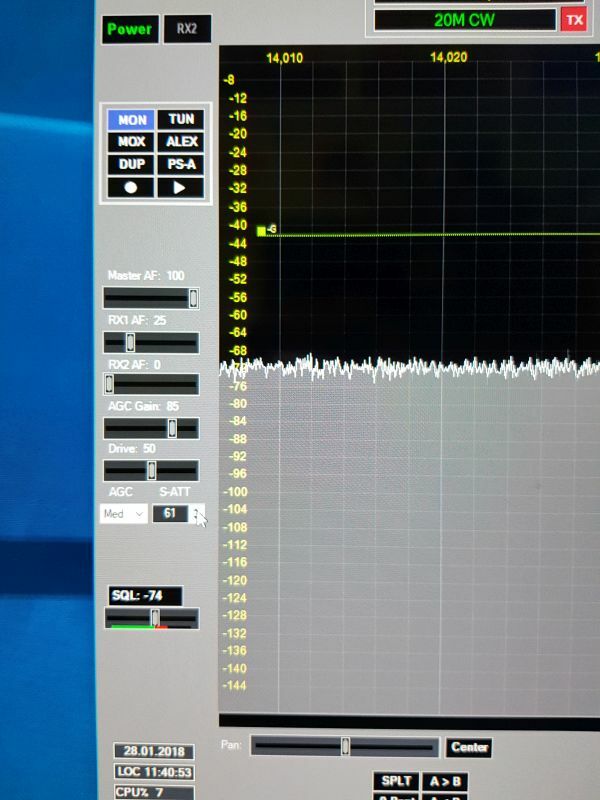 In the next step I disconnected the I2C-Bus from the preamp and connected it to the scope, to check, if there is a signal on the I2C. Thank you all for helping me ! - Setup: In PowerSDR: HardwareConfig->Hermes:checked, HardwareOptions->Alex:cheched, Options->Hermes Step Att->Enable:checked. - Constant voltage at pin 10, AD8331, no reaction when changing the Step Attenuator in PowerSDR. No visible impulses on the i2c lines. - Noise floor on the PowerSDR goes up and down when changing the attenuator values but this even when no preamp is in between. Different from Hennings observation above: when I reboot the redpitaya, I can clearly see some impulses on both i2c lines. I guess, it's not a hardware problem in my case. So either PowerSDR is not sending changes of the attenuator value to the red pitaya, or the red pitaya is not sending anything to the preamp in that phase. 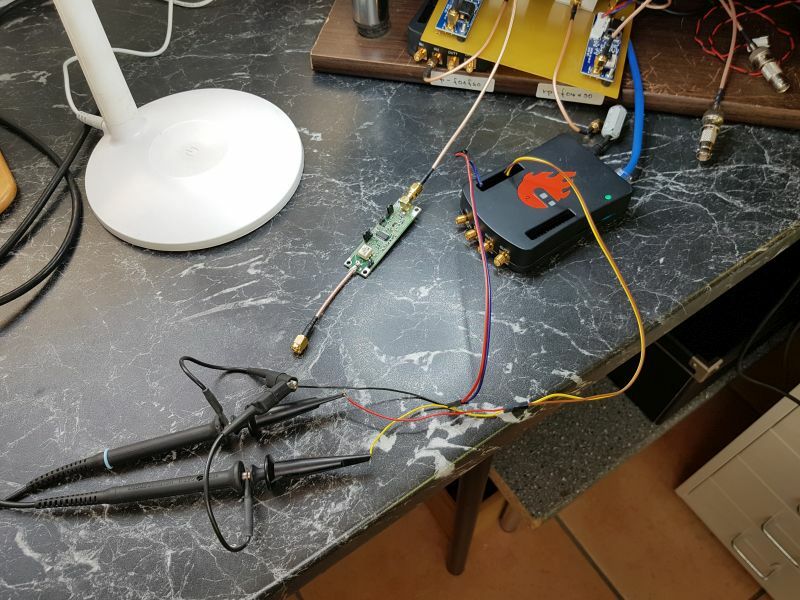 May be that the red pitaya is probing the communication to the preamp, but is not satisfied with the answer of the preamp (address jumper J1 set to ground, address 0x60). Currently I have no idea how to proceed searching for the error. Is it possible to check whether the software on the redpitaya has accepted the i2c signals from the preamp, or is there some kind of debugging mode? is there some kind of debugging mode? thanks for the help. I tried that and it works. I can see the impules now on the i2c lines. And - surprise - I do see them now also when using PowerSDR's step attenuator. No idea what was going wrong before. On my tests yesterday, I observed that in some cases I have to reboot the redpitaya to get it working, even if I didn't change the cabeling. May be the cable connections are somehow weak - I have to check that again.